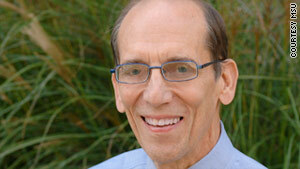 Bill Schmidt, an expert on math and science education, says U.S. students are falling behind. He says common standards and changes of attitudes are required to catch up. "Don't Fail Me: Education in America" airs at 8 p.m. ET May 15 and 21. "Don't Fail Me: Education in America " examines the crisis in our public education system and why America's financial future is at risk if our students can't excel math and science. It airs at 8 p.m. ET Sunday and May 21 on CNN. (CNN) -- Michigan State University Distinguished Professor Bill Schmidt is the interim director of the Institute for Research on Mathematics and Science Education, and author of the forthcoming book "Inequalities for All: Why America Needs Common Core Standards." He spoke to CNN about the state of math and science education in the United States, why it matters and how math and science education can be improved. "I think one of the most disturbing realities about the American educational system is the inequalities that exist within that system. Where you live happens to be important. What state you live in, what district within that state you live in, what school within that district you go to, even what classroom within a given school ... it really matters. And what I mean by that is, you are not necessarily expected to learn the same parts of mathematics at that grade level or the same science. Bill Schmidt is director of the Education Policy Center at Michigan State University. "The system is not such that children in all places in this country get the same opportunity to learn the same mathematics at the same grade level. And that can be very hard on their learning. Now in Europe, Asia, most of these other countries, they have national standards. And so, it is common across all schools within that country [to] have the same opportunities to learn the same content. This is not the reality in the United States." "In both mathematics and science, U.S. students' performance ranges anywhere from simply mediocre to extraordinarily poor. And that is true in both our national tests as well as our international tests. "One international study of 12th-graders found that for those students in mathematics who were at the highest level -- the kids who take calculus, AP calculus or regular college-level calculus -- essentially came near the bottom of the international distribution against their peers. In science and physics, we were dead last. So even those students who we think of as our absolute best are not competitive internationally." "We don't have a curriculum that is nearly as demanding, that is nearly as rigorous and focused as these other countries. Honors classes for all or for none? "Secondly, I believe, in recent studies, we've discovered that the preparation of our teachers is not up to the same level. The teachers that we have in this country don't have as deep a subject-matter knowledge as they do in other countries. "And I think the third reason is that in this country, parents accept the fact. They're willing to say, 'Well, my child isn't good at math, but that's OK as long as they know reading and a few other things.' Well, in other countries, they just don't accept that. They believe that it's important for all children to learn mathematics and science, and that they can learn mathematics and science. We sometimes don't believe that." "Statistics show most children around the world don't like math and science. They find it hard, and it's not really their favorite thing. But that doesn't matter. Schooling is to learn those important things you need for the future. And in this country, we seemingly don't recognize that simple reality. "That's different in the United States from everywhere else, and I think that's the wrong attitude. All children can learn mathematics to a certain level, and yet we don't in general accept that. "In the United States, we often think ... kids who like mathematics and science [are] nerds and simply strange children. In the rest of the world, that's rewarded. I mean, children who are good at math and science are viewed as the ones that are going to get ahead and the ones who have the best job opportunities in the future. It's a very strange notion that we have that somehow, mathematics is only for elite kids and nerdy kids." "First of all, we have to change what we expect of our students. The new recently adopted common core standards for K-to-12 mathematics by some 40 states is a good step in the right direction. Those standards are more demanding, more rigorous, they're more coherently put together. They are the kind of thing that competes well from the world point of view. "Now, doing that then means we have to look at teacher preparation so our teachers are better prepared to teach that kind of more demanding mathematics and science. That, I think, becomes an important aspect of this. "We have to support the teachers as we move in these more demanding ways. We need to have teachers who are able to teach that kind of higher level of expectation. "In these other countries, all children study chemistry and physics somewhere along their education. Those kinds of differences are easily remedied. Yes, it may be difficult. Some children may struggle with it, but we don't have the luxury of not challenging our children. If we don't challenge them, how will we ever know that they can't do it?" "I think American students can do this. You know, I like to say 'I have data from around the world that shows that children can learn this stuff.' Why do we think our children are so different and so unique that they can't learn it? "If we don't prepare our children in ways that have them be competitive internationally, jobs will go away, even from the United States. U.S. companies will simply go and put the plant somewhere else or hire people from other parts of the world. In a highly technological world, that's possible -- with faxes, with [the] Internet, with all these things -- to have people work in very different places even through they're working for you in this country. "The United States, for a long time, has sort of been viewed as the technological scientific leader of the world. I think in the near future, when we have only 3% of our 12th-graders being at the advanced level on our national tests, or 1% in science -- when we have those few people being advanced in their knowledge as they're leaving high school -- we will no longer be able to maintain that status. I think that is a serious threat."